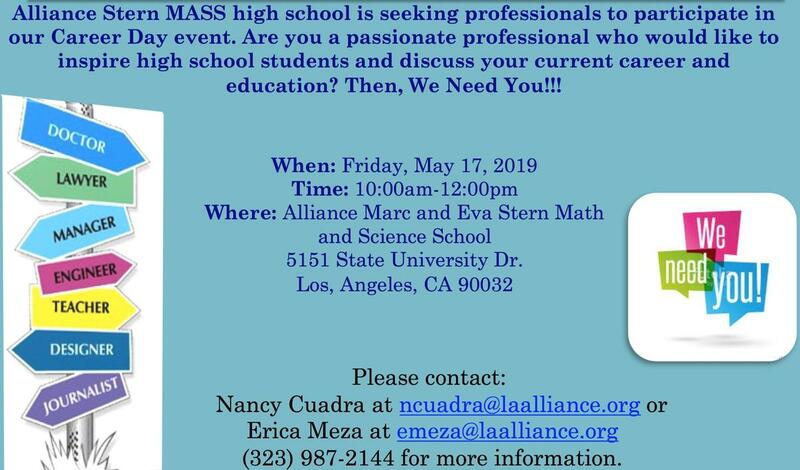 Come and Join the Career Fair on Friday May 17th, 2019 from 10am to 12pm. We are seeking professionals to discuss with our students about your current career and education. Your participation will be greatly appreciated. If interested please contact Ms. Cuadra ncuadra@laalliance.org or Ms. Meza emeza@laalliance.org.